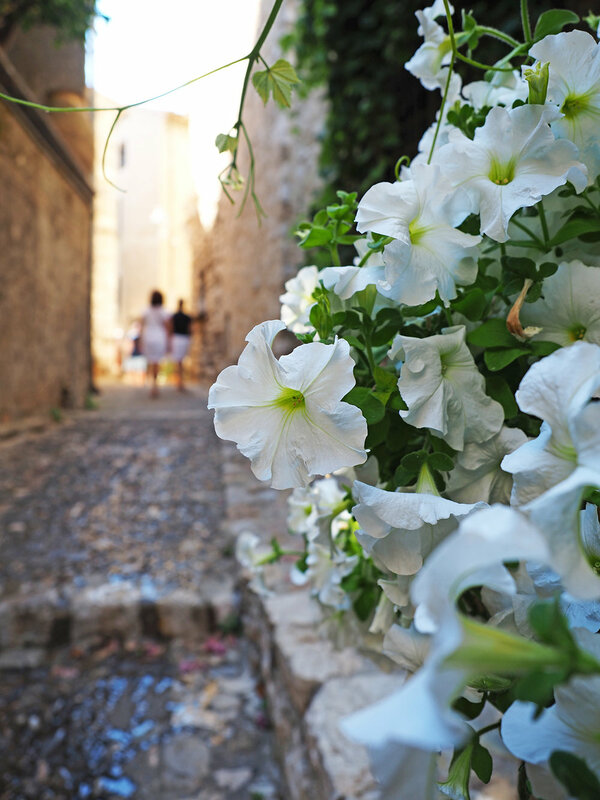 You’ll be hard-pressed to find a more perfect Cote d’Azur day trip than to Saint-Paul de Vence. I love the French Riviera, not just for its glittering beaches and glorious sunshine but more and more for the quaint medieval villages that are perched inland. 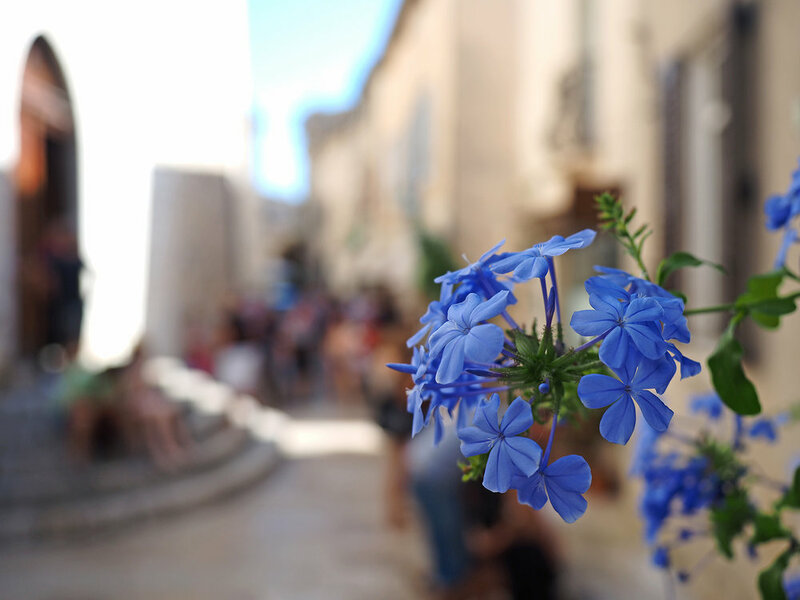 Strolling through cobbled streets shaded by bright, fuchsia hued bougainvillea, basking in the warm provencal summer breeze is something that everyone deserves to experience at least once in their lives! Outside of the Ramparts towards the main road into the village, you will find a 17th century former Mill that houses Le Vieux Moulin. We were sold by it’s stunning terrace shaded by vines but in the end, it was the mouth-watering french regional cuisine and incredible service that made this place so special. I savoured every mouthful of my perfectly cooked scallops and crispy chorizo atop saffron risotto and how could we say no to *that* Millefeuille... we shared dessert and it is something that I will live to regret for the rest of my life. Our waitress was brilliant. My mum asked for Prosecco... in France (insert cringe here) our waitress kindly recommended a French sparkling that was so good we ended up having a bottle each (!) It gets VERY hot in Saint Paul de Vence in the summer so staying hydrated is key! Open from everyday from 12 to 3pm and from 7pm to 10.30pm during summer. Open Tuesday to Sunday from 12 to 2pm and from 7pm to 10pm out of season. Closed from 14 November to 28 February. 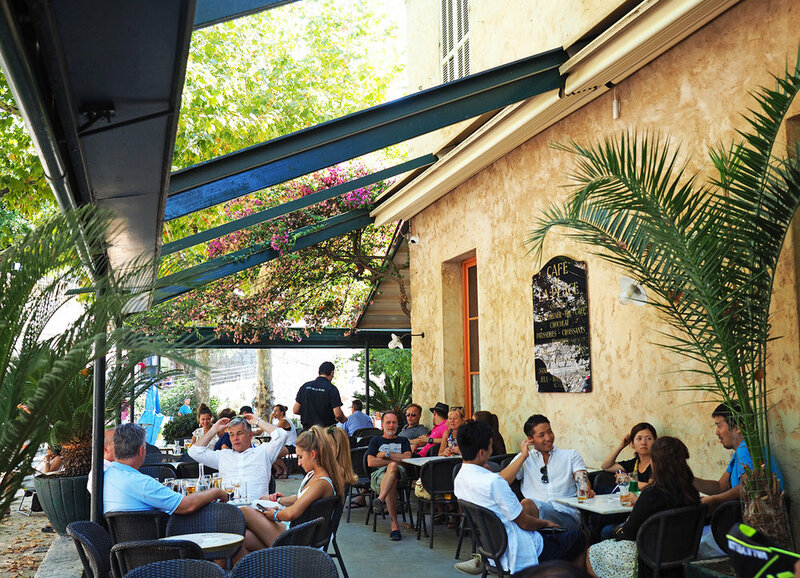 If I could while away an afternoon anywhere in the world, it would be on the terrace of the Cafe de La Place, sipping roséand watching the locals enjoy games of petanque on the Place du jeu de Boules for hours on end. It’s the idyllic, charming French cafe you dream of, it’s reasonably priced and relaxed, full of families, friends and laughter. It was a local hangout for incredible artists like Matisse, Chagall and Picasso who were all inspired by the beauty of the village. The best way to get to Saint-Paul de Vence is by car. It is located just 7km from the coast, set inland between Nice and Antibes, about a half an hour drive from either town. Car parking is available at the entrance to the village, it can be a little pricey for the day but you won’t regret it!